Certified and proven Communicator family connecting automation devices via their Serial interface RS-232/422/485/ASCII/Modbus RTU/DF1/Customize Protocol To Fieldbus and Industrial Ethernet protocols. No hardware or software changes are required for the connected automation device. Compatible with PLC's from leading manufacturers such as Siemens, Rockwell, Schneider Electric etc. 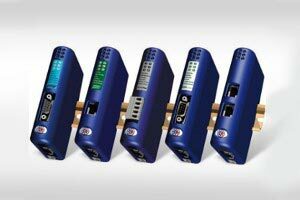 Available in Profibus, Profinet, DeviceNet, Ethernet/IP, Modbus TCP & many more protocols. Included “Anybus Configuration Manager” with flexible serial frame building capabilities. Handy Save/Load function means a completed configuration can be re-used for many other Installations.